Nirmala Sitharaman is now a member of a powerful sisterhood of 16 female defence ministers, in a sign of rising women empowerment in an overwhelmingly male-dominated arena. 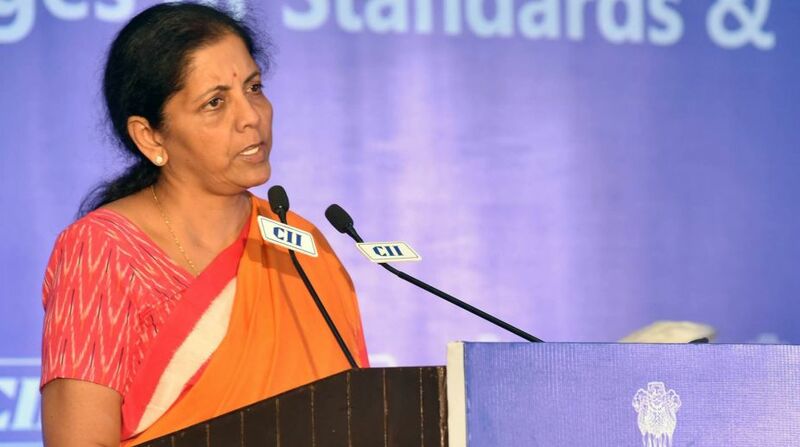 Sitharaman, who got the portfolio on Sunday, heads the world’s third largest defence force of 1.4 million personnel. It is also the strongest of those headed by female defence ministers. She and Florence Parly of France are the only two women to head the defence ministry of nuclear-armed nations. Parly succeeded another woman, Sylvie Goulard, who stepped down after less than two months on the job amid allegations that as a member of the European Parliament she had used her assistants for party work. France has a defence force of 204,00 active duty personnel including reservists, according to the Global Fire Power (GFP), which tracks military statistics from around the world. In Bangladesh with 160,000 active duty military personnel, Prime Minister Sheikh Hasina holds the defence portfolio. The other important women defence ministers are (with the size of their active duty military personnel according to GPF in parenthesis): Italy’s Roberta Pinotti (247,000), Germany’s Ursula von der Leyen (180,000), Spain’s Maria Dolores Cospedel (124,100), South Africa’s Nosiviwe Mapisa-Nqakula (78,050), and Australia’s Marise Payne, (60,000). Africa has another woman holding the defence portfoio, Raychelle Omama of Kenya. 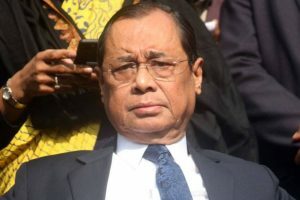 Her position is uncertain now because Kenya’s Supreme Court has annulled the election of President Uhuru Kenyatta and called for fresh elections. Three small countries formed after the break-up of Yugoslavia in a region that was wracked by wars, civil wars and insurgencies in the 1990s have women defence ministers: Marina Pendes in Bosnia and Herzegovina, Radmila Sekerinska in Macedonia, and Andreja Katic in Slovenia. The other European defence ministers are Norway’s Ine Marie Eriksen Soreide, Netherlands’s Hennis-Plasschaert and Albania’s Mimi Kodheli. Olta Xhacka is scheduled to succeed Khodeli this month. Latin America has only one woman defence minister, Martha Elena Ruiz Sevilla of Nicaragua, a country that has seen prolonged civil war and insurgency. North America has none, although Kim Campbell held the defence portfolio in Canada for less than six months before becoming Prime Minister in 1993. In 1960, Sri Lankan Prime Minister Sirimavo Bandarnaike became the first woman to hold the defence portfolio and she was followed by Indian Prime Minister Indira Gandhi. Marta Elisabeth Rehn of Finland in 1990 became the first woman who was not a prime minister or president to head a defence ministry. The first woman in Asia to hold the portfolio solely as minister was Japan’s Yuriko Koike. She held the job for less than two months in 2007 and resigned after revelations that navy personnel leaked classified information about the high-tech AEGIS radar systems.